I am! But I recently read this article about glabrous apricots and that got me all itchy to find a tree. This is the way in which I feel like gardening and collecting are the same thing. Plus, I really like the word glabrous (means they have no hair). It is so nice when nature comes through with an abundant crop. And she always makes it look so easy! I sort of fell in love with apricots when I came to Turkey. It is hard to find the good ones, but one good thing about jam is that it redeems the mealy ones! I hope you find some worthy of sinking your teeth into. I really admire your commitment to not having a septic tank. I think that there are not very many people who would be able to make that switch. I studied abroad in West Africa in college and got pretty used to no running water. It’s really fine once you get used to it. That’s so interesting! It is pretty amazing what a person can get used to- we don’t give ourselves enough credit, I think. great post… the toilet details were so interesting… good for you – as a society we should “face up to” waste disposal! 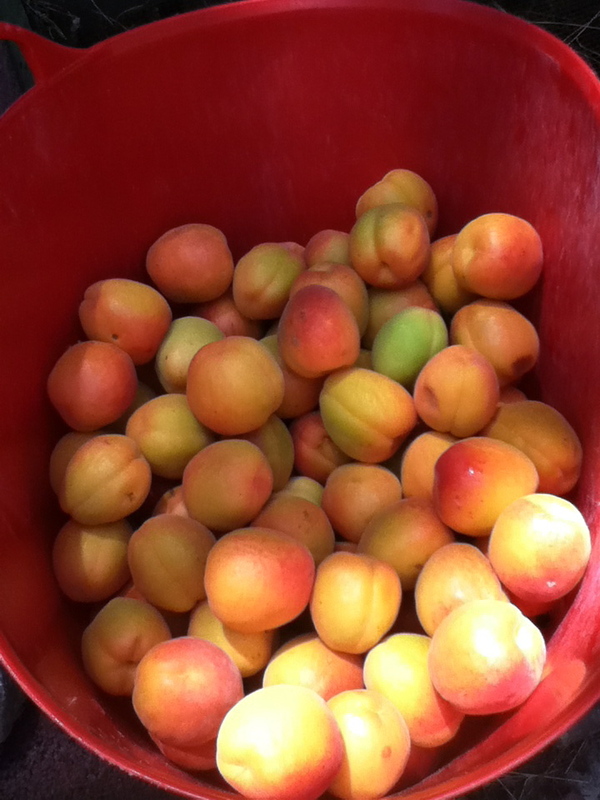 Love the part about the apricots – do you ever put almonds or the apricot kernels into your jam? Oh, and what are jujubes? Thank you for your kind comments! I do use the apricot kernels sometimes, although I read a rather sobering warning recently about how their almond flavor comes from arsenic. Jujubes are the fruit of ziziphus jujuba, a deciduous tree, and they are also known as red dates or Chinese dates (although they are, botanically, not dates at all). They are tasty when dried, but when fresh they are unbelievable- like crunchy honey. Apple pips contain arsenic too! Ziziphus… what a wonderful name! I think I have seen these red dates in Chinese supermarkets… I’ll have to buy some next time! 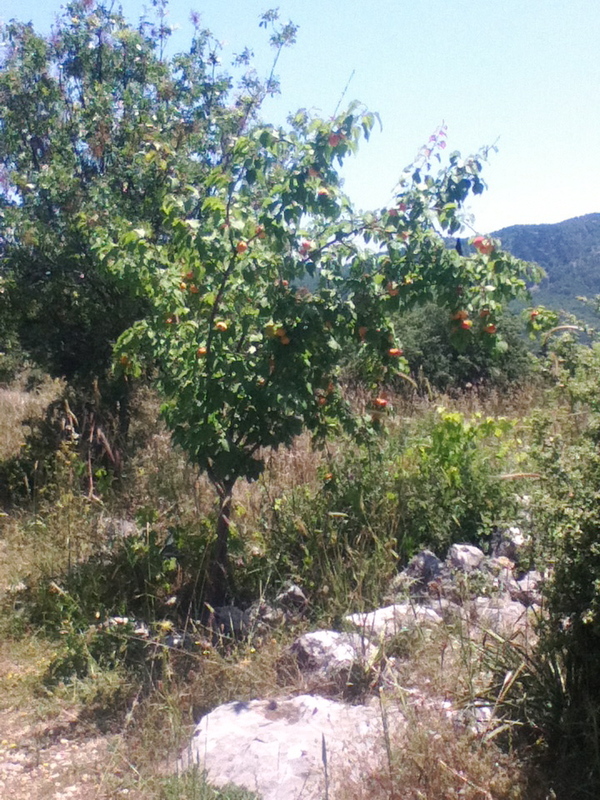 Apricots, one of my favorite fruits, I am so jealous of your tree. Would love to be able to pick my own. That is a lot of delicious looking fruit! I think fruit always looks better in a big pile! It is a treacherous business buying apricots. More so than other fruits I think. These ones are tasty, it is true, but not perfect texture-wise. The boys adore them though! What a thought! I’ve enjoyed pickled plums, but I’ve not tried apricots. Oh wait. Is that apricot pickle or pickled apricots?